Those who interested to design an amazing website and mobile responsive website then this article helps you lot. A web designer uses CSS to make a responsive website using media queries and other lots of properties. But some time consumes more time and designer might be irritated. So these disadvantages we use bootstrap. If you still not use bootstrap then here are the reason to use Bootstrap Framework. Bootstrap is the most popular CSS Framework and uses for design mobile responsive website. Mobile responsive means user can read data from a website without zooming. here jumbotron and text-center is CSS class and this CSS file store in bootstrap CDN and bootstrap file (if you use offline). You can easily setup bootstrap using CDN(content delivery network) and using downloadable file also. Grid system makes your website responsive. Bootstrap allows upto12 column grid system. Using a few changes, the website automatically adjusts according to the devices. An advantage of a grid system is you can easily define that this column for this function like 8 columns for comment area 4 column for a sidebar. In short one 12 column you use and anywhere just there sum is 12. Buttons, paragraph, heading, list, forms, table etc. are a basic element in HTML. Bootstrap makes this basic element more stylish with extensible classes. If you design a website then without menus and a drop-down menu website is not looking good. So you can easily implement awesome component like a menu, alert, modal etc. using bootstrap classes in just a few lines only. Bootstrap documentation also best for learning the bootstrap framework. 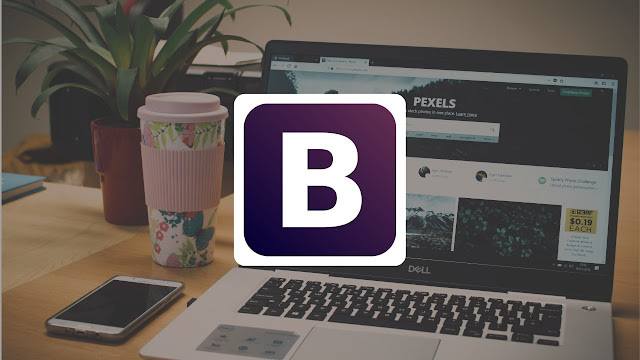 You can easily learn bootstrap using lots of demos and example of each class. You can see the documentation here. So, these are the reasons why use bootstrap for web designing.